BGO Casino is owned and operated by BGO Entertainment Limited, and has dual licenses from the UKGC and Alderney. BGO is a NetEnt casino, but also offers a wide selection of games from other software providers, including: Playtech, and IGT. BGO Casino is a bouquet site, which offers many different sections, such as a Casino, Live Casino, Games, Vegas, as well as a Bingo Section. New players at BGO Casino can sign up for a casino account to claim 10 No Deposit Bonus Spins on any of the following promotional games: Starburst, Aloha Cluster Pays, Finn and the Swirly Spin, and The Legend of Shangri-La Cluster Pays. Bonus Spins carry NO wagering requirements and no maximum cashout limit. 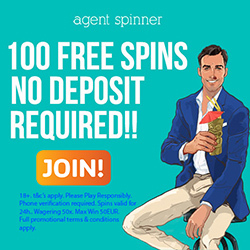 Make a minimum deposit of £10 to get 100 Bonus Spins credited to your account immediately. Get your Bonus Spins on the following slots: Starburst, Aloha Cluster Pays, Finn and the Swirly Spin, and The Legend of Shangri-La Cluster Pays. **Please note that players must be 18 years or older to open an account at BGO Casino. For full terms and conditions, click here. You must deposit a minimum of £10 to be eligible for the 100 Bonus Spins welcome offer + 2.5% Fee. Your Bonus Spins are only available for 3 days only (once credited to your account). The following players are restricted from playing at BGO Casino: USA, US/GB Virgin Islands, US Minor Outlying Territories, Spain, Italy, France and Overseas regions, Afghanistan, Libya, Sierra Leona, Iran, Iraq, Nigeria, Zimbabwe, Mali, Sudan, Belgium, Greece, Israel, Turkey, Switzerland, Hong Kong, Denmark, Estonia, Bulgaria, Cyprus, Macau, Philippines, Singapore, Hungary, the UAE, Romania, Portugal, Netherlands, Russia, Poland, Ukraine, Czech Republic, Australia, or Colombia. Different games contribute a different percentage towards the wagering requirements. The following games contribute 0% to the wagering requirements when bonus money is used: Retro Super 80s, Retro Funky 70s, Retro Groovy 60s, Kings of Chicago, Ghost Pirates, Demolition Squad, Zombies, Dead or Alive, Bloodsuckers, Victorious, Devils Delight, Lucky Angler, Big Bang, Aliens, Robin Hood, Wish Master, Eggomatic, Relic Raiders, and Champion of the Track. The deposit options at BGO Casino are: Maestro, Skrill, Neteller, Visa, Mastercard, and PayPal (UK only). You can deposit using the following currencies: US Dollars, British Pound, and Euro. For any queries, contact customer care via Live Chat (when logged into your account), the contact form on the website, or Email.